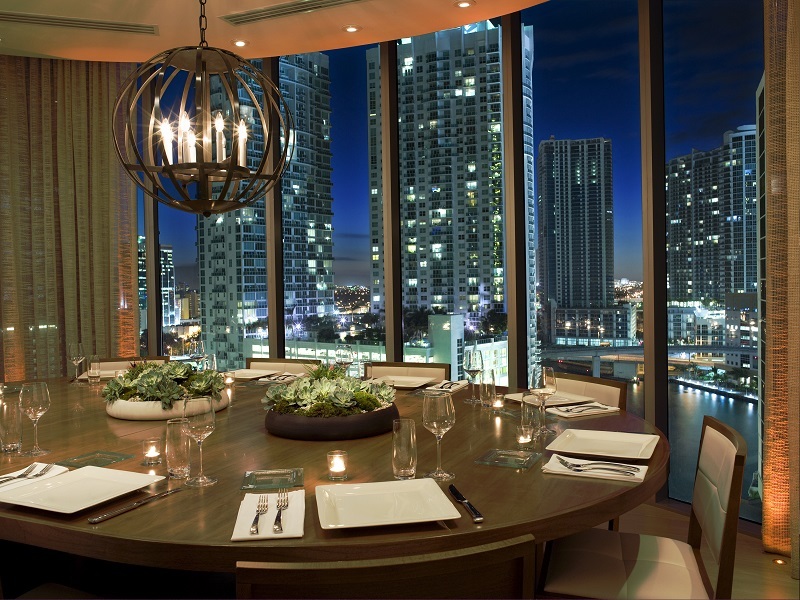 Downtown Miami is quickly becoming one of the world’s top culinary destinations, where the fine dining experience is enhanced by an unbeatable ambiance. 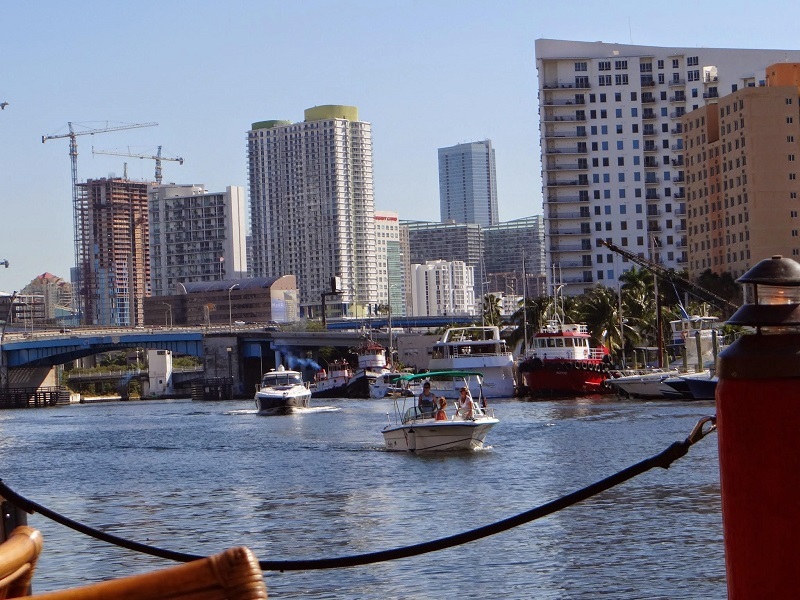 Having undergone a revival and clean-up, the Miami River provides water views flanked by a backdrop of the Downtown/Brickell skyline glistening under the Florida sun by day, and buildings and riverfront colorfully lit up by night. Biscayne Bay is located on the Atlantic coast of South Florida and is approximately 35 miles long and 9 miles wide. Both residents and visitors continue to enjoy the many amenities in this quickly developing urban seascape.Delve into a multi-sensory experience and enjoy breathtaking water views set distinctly apart from the beach, but in no way less stunning. With destinations worldwide, Zuma, which is located at the EPIC Hotel in Downtown Miami, offers modern Japanese cuisine under the tutelage of renowned chef Rainer Becker. Don’t expect the typical. The menu is vast and delectably creative, including delicacies such as sake no tataki (salmon tataki with ikura, smoked tofu and japanese mustard), buta-bara yuzu miso (kurobuta pork belly skewer with yuzu mustard miso) and gindara no saikyo miso yaki (black cod marinated in saikyo miso with homemade hajikame). Also at the EPIC Hotel, Area 31 is located on the 16th floor. Under the direction of Executive Chef Wolfgang Birk, the words ‘source local’ are taken very seriously. The name itself refers to Fishing Area 31, which is the designated FAO sustainable fishery where most of the seafood-centric menu is sourced, earning it a sustainability certification from the Monterey Bay Aquarium’s Seafood Watch. The restaurant also has its own herb garden. So take in the fresh air and know that your meal is designed to provide maximum taste without compromising the environment. The River Yacht Club embodies design excellence, and is the sort of place where it is entirely normal to see patrons arrive by yacht. In fact, RYC is home to the first VanDutch lounge exclusively available for owners of this luxury yacht brand. The location provides a relaxing urban getaway with greenery, river views and world-class monumental art. The setting provides a stimulating backdrop to a menu that focuses on quality ingredients presented in an unpretentious way. The restaurant’s roster of rotating resident chefs provides a seamlessly consistent culinary experience that draws inspiration from international influences while focusing on the character of seasonal elements. 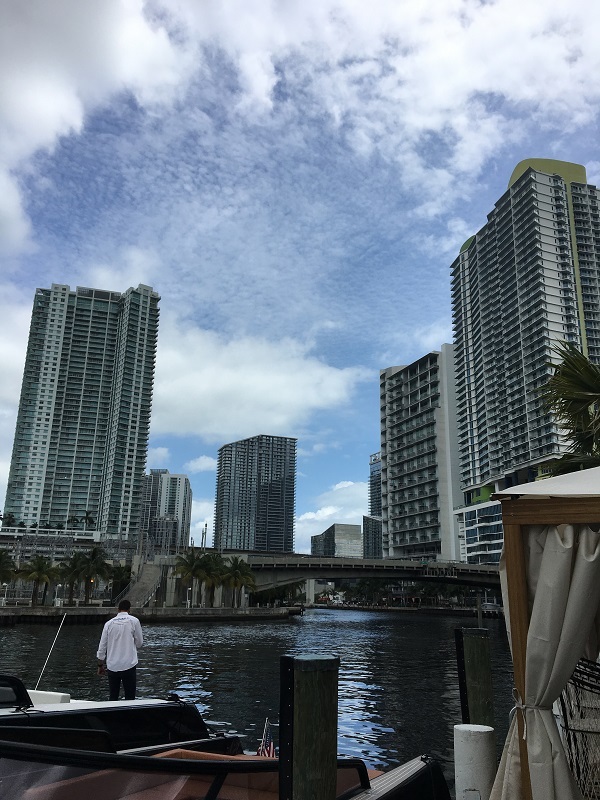 A very busy and popular spot with stunning views of Downtown Miami, Seaspice epitomizes upscale dining and sophisticated décor. The restaurant offers predominantly a seafood selection, but Short Rib Benedict and Whole Roasted Suckling Pig are available on the weekend brunch menu. Enjoy watching the boats and yachts pass by. or sit and sample crudos and hot-stone dishes in the adjacent Modern Garden, where a sculptural installation by architect Santiago Jose Pelaez is the centerpiece. With vast and sweeping views of Biscayne Bay, Verde provides a simple yet elegant menu in Downtown Miami’s most creative space. 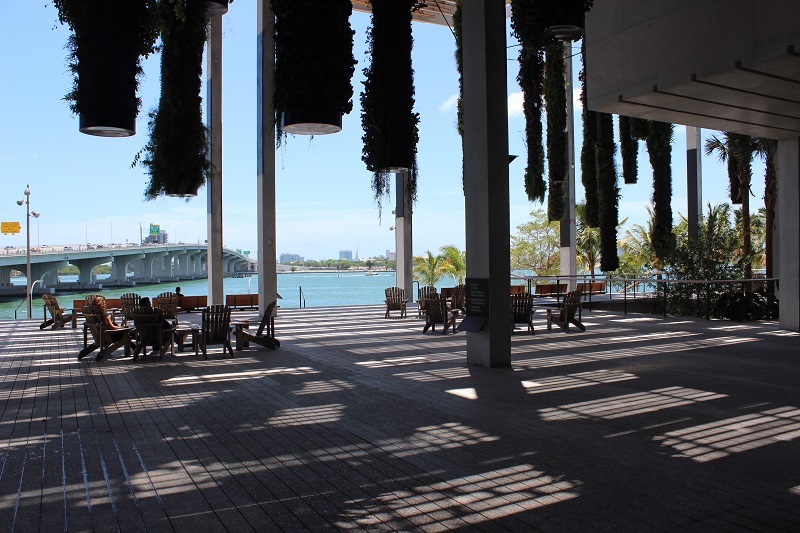 Whether enjoying a day at the museum, admiring the Herzog & de Meuron design, strolling through Museum Park, or relaxing in an Adirondack chair and admiring the Bay, Verde is the perfect rest point to enjoy fresh fare and often a unique menu inspired by the museum’s current exhibition. To coincide with Basquiat: The Unknown Notebooks (on view through mid-October), Executive Chef Kaytlin Brakefield has designed a three course, fixed-price menu that includes a main dish titled, ‘Black and White Pages,’ which consists of handmade fazzoletti, octopus and cacio e pepe. 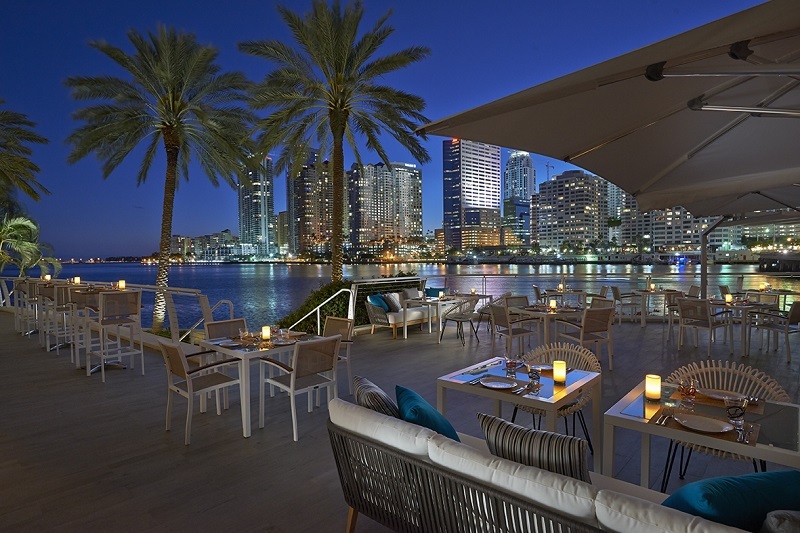 Experience authentic Peruvian cuisine under the creative genius of Chef Gaston Acurio, while enjoying outdoor seating that offers an unobstructed view of Biscayne Bay and the Downtown Miami skyline. Executive Chef Diego Oka is committed to introducing the best flavors and culture of Peru, and guests can experience a range of culinary styles from novo-Andean, novo-Peruvian and traditional ceviche. Plus, venture over to the Anticuchos bar and enjoy popular Peruvian street food items. La Mar offers Sunday brunch and an Express Lunch menu.